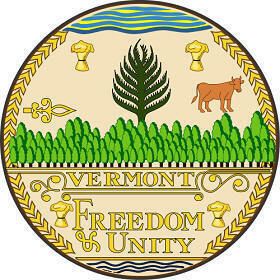 The Vermont state seal identifies government buildings and officials and elements of the seal are used in the centerpiece for the Vermont state flag. The symbolism, history and emblems of the seal are described in this article with fast facts and information. The central image of a large 14-branched pine tree rises from a lush green forest depicting smaller trees. The farming industry is represented by the picture of the cow and a total of four sheaths of wheat. 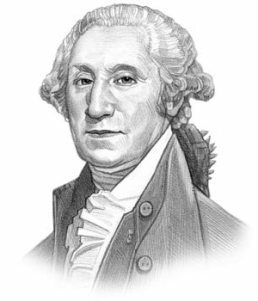 In 1609 French explorer Samuel de Champlain claimed Vermont as part of New France during its early colonial period but they lost control of the land in the 1763 Treaty of Paris. This aspect in the history of the state is probably symbolized by the fallen symbol of the French Fleur-de-lis. Official Nickname "Green Mountain State"